Tentsmuir, a place of broad horizons and rolling seas, and out on a tidal lagoon a scattering of resting oystercatchers, their long red bills firmly tucked under their wings as they slept. Well, perhaps catnap is a better term, because their dozing was intermittent and cautious, eyes frequently flickering open to check that all is well and there is no danger about. Oystercatchers are such striking birds with their black and white plumage, but they are flighty too and hard to approach close, so I decided to give them a wide berth as I had no intention of disturbing their slumbers. 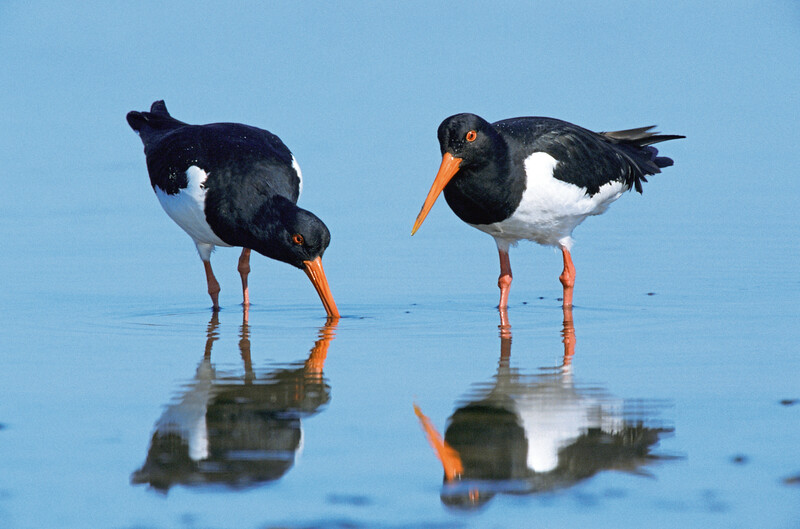 Many oystercatchers spend the spring and summer inland where they nest on the pebbly shores of highland rivers and lochs. But they are also versatile birds and often nest on the flat roofs of buildings in our towns and cities where they are free from the threat of predators such as foxes. I like it when nature adapts to cope with the sprawl of humankind; it provides a sense of hope for the future. The air at Tentsmuir was fresh and breezy, and with the tide fully out, sandbars broke the pattern of the waves far beyond the mouth of the Firth of Tay. I swept my binoculars across the watery horizon and on some of these sandy islets I could see hauled-out grey seals. Nature, it would seem, was having a rest in this little corner of Fife. But the benign behaviour of the seals belies the fact that this is the busiest time of the year in their calendar, with pupping in full swing on the nearby Isle of May, soon to be followed by the drama of mating where large bull seals will often square up to each other as they compete for the attention of cows. 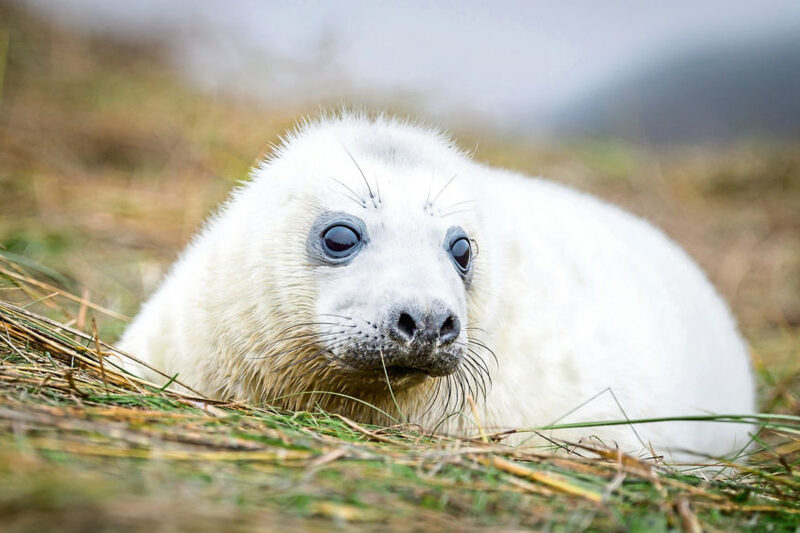 It’s strange how grey seals should pup in late autumn, just when we are on the cusp of winter storms and the shorter hours of daylight. One theory is because they may be descended from animals that bred on newly-formed pack ice, hence the white fur of the pups. Or perhaps it is because the cows are in peak condition in autumn, having enjoyed a long summer of rich feeding, thus making it a good time to give birth. The smaller harbour seal also occurs in the waters off Tentsmuir, but they are scarcer than greys, and I couldn’t pick out any as I scanned the sandbars. The beach itself was patterned with the numerous half-shells of molluscs – surf clams, razorfish, otter-shells, cockles and horse mussels – a graveyard of shellfish, but also providing an insight into the rich life that lies hidden beneath the sand. These shellfish are the engine room of the beach, an abundant food source for other creatures which results in Tentsmuir being so naturally diverse; and the reason why I can never get enough of this wonderful stretch of sandy coast. 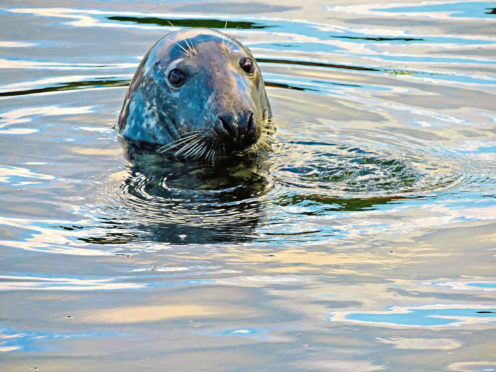 Britain and Ireland host about 36% of the world population of grey seals. The single pup is born on land and fed on milk for about 18 days, before being abandoned to fend for itself.